We know it's summer, but we also know many of you like getting a jump on snow removal bids. 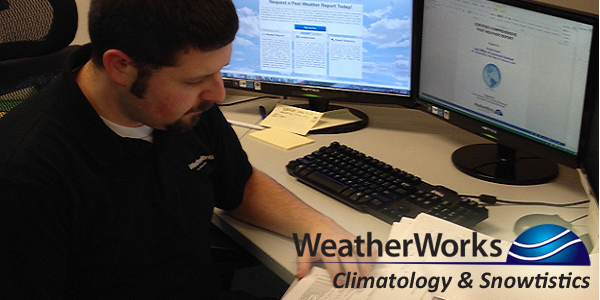 Have you ever tried using snow climatologies to estimate costs? Our data and stats team breaks down annual snowfall into 5, 10, up to 30 year averages depending on your needs. We also can show you the median snowfall over a given period and break down the season by events. Need to know how many plowable 2+ inch events typically occur? How about the number of minor coating - 1 inch events for deicing? We can do that and can also break the events down into whatever thresholds meet your needs. If you want more information, please contact our Data and Stats Department at data@weatherworksinc.com or call 1-908-850-8600.